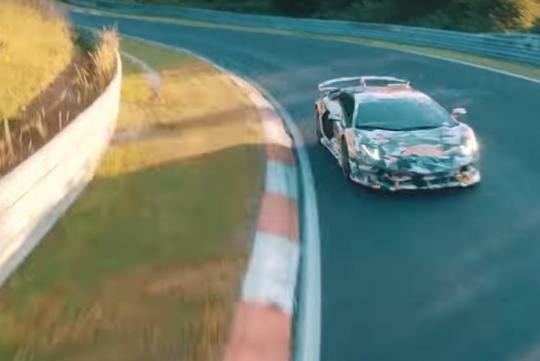 With the video being titled “Aventador SVJ meets the Nurburgring”, they have also confirmed the new car's name which also signals the return of the Jota variant. The Diablo was the last lamborghini to have the Jota name back in the mid 90s. It is rumored that Lamborghini has already broken the production car lap record that is set by the Porsche 911 GT2 RS with the new Aventador SVJ. It was said to be two seconds faster than the Porsche. With a new active aero system and more horsepower (around 790bhp), Lamborghini might have just reset the Nurburgring record.